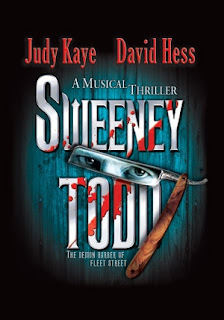 Sweeney Todd has been getting rave reviews in all the papers. Here's your chance to see it on Halloween for HALF PRICE! I just checked the link and they definitely still have tickets available for the Halloween Promotion. Click (here) for the link to Ticketmaster and choose the Half Off Halloween Offer. The legendary demon barber, hell-bent on revenge, takes up with his enterprising neighbor in a delicious plot to slice their way through London's upper crust. Justice will be served-along with lush melody, audacious humor and bloody good thrills. 0 Response to "Half Price Sweeney Todd Tickets - 10/31"